Macchiato: (n.) a drink that has certainly left its milky mark on the coffee industry. Italian for “marked,” a macchiato is a single or double shot of espresso with a “marking,” or small dollop, of microfoam steamed milk. 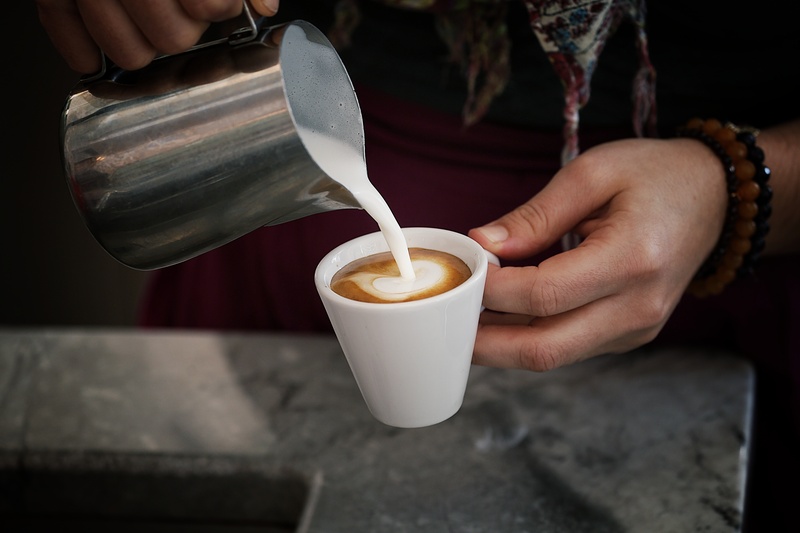 The small dash of milk is perfect for folks who mostly want an espresso, but who enjoy the natural sweetness that a little foamed milk adds. Especially for a nutty and sweet blend like Nizza, milk opens up the the espresso’s chocolatey notes without an overwhelming dairy presence.